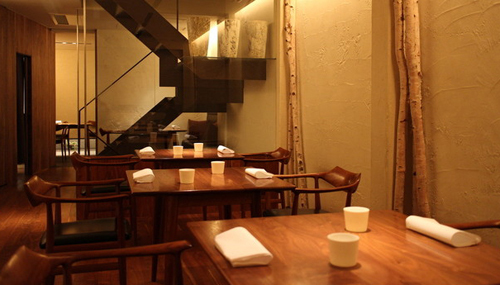 ※All courses require a seat charge of 1,000 yen per person. ※The price shown does not include a 8% service charge and 8% consumption tax that is required. 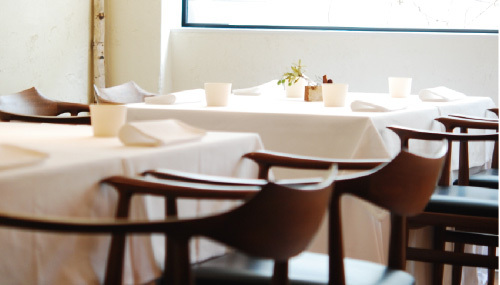 ※Please note that the menu is subject to change and is decided by the chef. Please list any dietary restrictions or preferences at the time of reservation. ※The price shown does not include a 10% service charge and 8% consumption tax that is required. ※The prices shown do not include a service charge (8% for lunch and 10% for dinner) and 8% consumption tax that is required. Business casual or semi-formal wear is required. Please note that no casual wear, such as shorts, t-shirts, sandals, etc. are allowed. Guests may be refused from entering if they are wearing casual clothing. In order to leisurely enjoy the courses and get the best dining experience at Fujiya 1935, 1 to 1.5 hours are required for lunch and 2.5 to 3 hours are required for dinner. Bringing wine into the restaurant is allowed, however there is a required corkage fee of 3,000 yen for every bottle of wine brought into the restaurant. Children that are 12 or older and can sit in an adults chair and eat an adults course are welcome. Reservations for the private room are accepted for reservations of 6 or more guests. For guests in a party of 4 people, the private room may be used, however there is a charge for the 2 remaining seats, a charge of half the price for 2 courses (for 5 guests, a charge for half of one course). Please note that the dining area is located on the 2nd floor and will require that guests walk up the stairs to the 2nd Floor (there is no elevator). We apologize for any inconvenience. Reservations are accepted for 1 or more guests. Once we can confirm availability, prepayment online for your course is required for a reservation. Any additional orders that you make for food or drink at the restaurant can be paid for at the restaurant after your meal.